I received my ARC for Control Point back in October, started it the same day, and finished it two days after. If you're a lover of fantasy, comic books (X-Men parallels are prevalent), and/or video games, my advice is to run, don't walk, to your nearest bookseller and buy a copy on February 1. 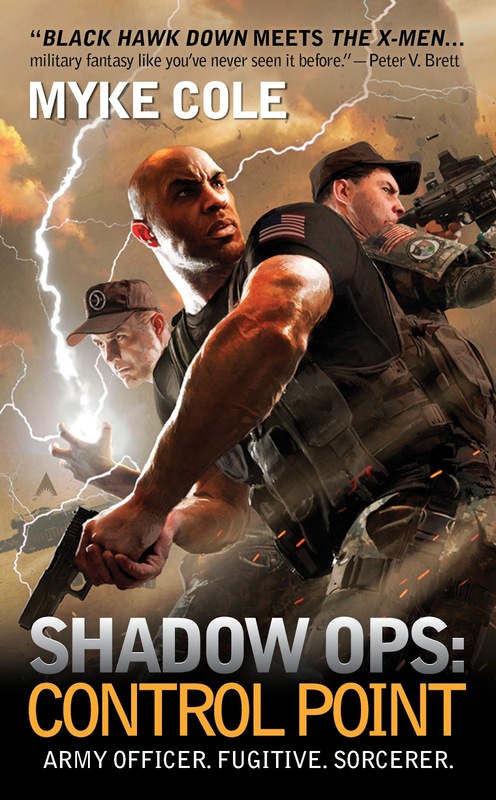 I predict Myke Cole's debut is going to be a monster success -- don't make me wrong. "After finishing it I'm flabbergasted that Ace decided to only release it in mass market paperback as I've read few novels that will appeal to such a broad spectrum of readers." Yeah, that surprised me, too. I finished the book a couple of days ago and put together the first draft of my review. I'm still wrestling some of the themes Myke covered in the book. This is a damned good book. Jim Hines gave this one a pretty decent write up on his blog, too. Definitely something I'll be keeping and eye out for. Just finished reading. FANTASTIC! Go buy it! I read it cover to cover starting last nite & finished at work. Could not put it down.